Former NBA superstar Shaquille O'Neal is known for being able to branch out from the sports world. Shaq has recorded albums, starred in movies, and as of late he has been getting into the restaurant business. 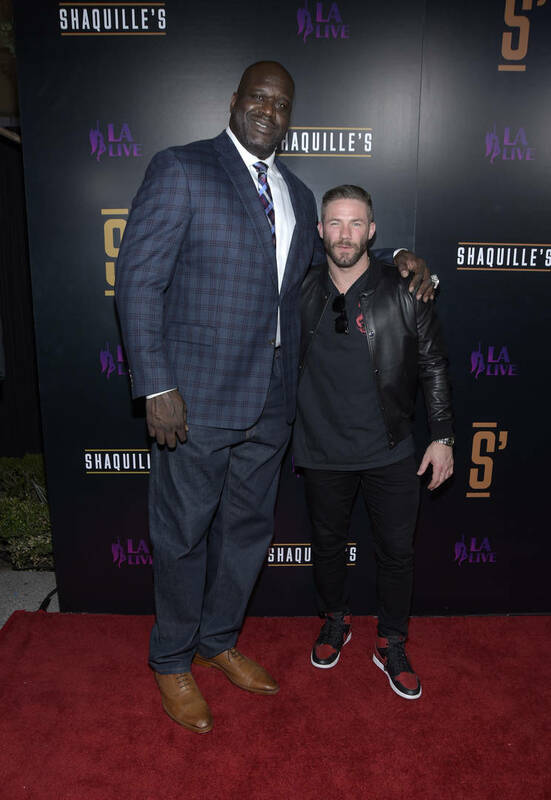 On Saturday, Shaq opened up his newest restaurant "Shaquille's" which is located at L.A. Live, right across the street from the Staples Center. Considering the lavish location of the restaurant, it's no surprise that the opening saw some pretty famous faces swing by. Actors and athletes alike came out to the spot on the same night that the Los Angeles Lakers lost to the Boston Celtics. Current and former Celtics players like Jason Taytum and Paul Pierce attended the opening, while Lakers players Kyle Kuzma and Rajon Rondo as well. Adam Sandler, Tiffany Haddish, Julian Edelman, and Diplo were among some of the other big celebs that were in attendance for the event. If you're interested in having some Southern cuisine, it appears as though Shaq's new spot is exactly the place for you. Fried chicken and shrimp & grits are just some of the things on the menu. With the Lakers and the Clippers across the street, we'll most definitely be seeing some players eating out after their games.